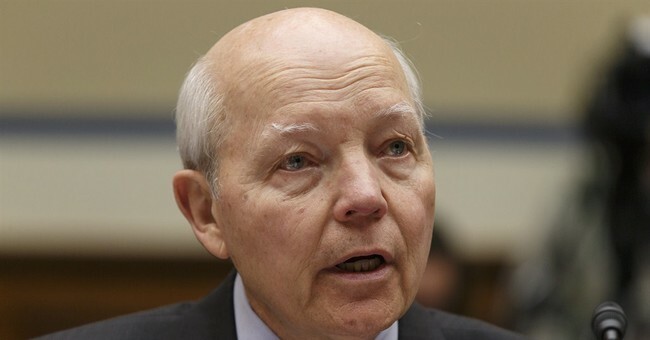 IRS Commissioner John Koskinen’s bland testimony before the House Ways and Means Committee Friday has seemingly failed to convince anyone that the government organization is free of scandal. In addition to Rep. Paul Ryan (R-Wis.), the legal group representing 41 conservative and Tea Party groups in the federal lawsuit against the government has stated its dissastifaction over the commissioner's statement. Koskinen’s failure to provide information and refusal to apologize kept in true form with the Obama Administration’s overall strategy to “delay, distort, and misdirect” government scandals, according to a newly released statement by the American Center for Law and Justice (ACLJ). The ACLJ claimed it sent letters to federal agencies and Democratic lawmakers asking them to save any remnants of the communication trail between themselves and IRS officials over the last five years. At the same time, the ACLJ has notified the Department of Justice and the FBI that it will not permit its clients to meet with federal investigators because of the collusion between the IRS and federal agencies. The ACLJ says it is not in the best interest of its clients to voluntary cooperate with federal investigators because of evidence that the Justice Department was working with the IRS to see if it could “piece together” prosecutions of non-profits even before any evidence of wrongdoing emerged. More than 74, 000 Americans have signed a petition to demand a special prosecutor investigate the IRS targeting scandal.